A quick view of the most influential metrics in Kapolei. 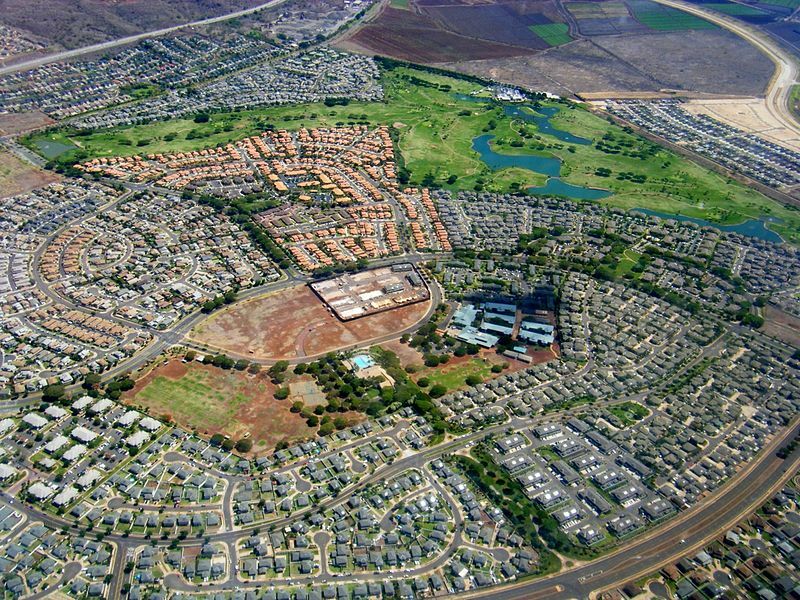 Kapolei is a master-planned community and CDP within the city/county of Honolulu. It is the second urban center on the isle of O'ahu. The community is located 25 miles from Honolulu. The communities name comes from the name of a volcanic cone, Kapolei. The community has several nicknames including Hawaii's e-City and The Second City of O'ahu. The community is home to the Ka Makana Ali'i Mall a 1.4 billion square foot retail structure which features more than 100 stores. It is a perfect community for singles, couples, families and seniors, there is seriously something for everyone. The community is located on lands which were once agriculture lands where pineapples and sugar cane grew. Much of the CDP's lands are part of the James Campbell estate. Campbell was an industrialist and a major contributor to the development of sugar cane processing. Campbell established the estate for his heirs and their descendants. One of Campbell's daughters married into the royal family and her children became heirs to the throne. The lands passed down the generations and in 2007, 170 of his heirs reworked the estate and established the James Campbell Company. The family is very loyal to the estate and at the time of the reworking only three cashed out. The main developers of the planned community is the Kapolei Property Development. In 2010, the population of the Kapolei was 15,186 and the population density was 3,700 people per square mile. In 2016, the estimated median household income in the community was $80,155 and the estimated per capita income was $33,691. In the same year, the estimated median house or condo value was $658,900, the mean price on all housing units was $585,295 and the median gross rent was $1,799. It is a thriving residential community with beautiful scenery, lush green lawns, and peaceful streets. Public education for the youth of the community is supervised by the Hawaii Department of Education. There are four public elementary schools, one middle school and one high school in the community. There Kapolei to Honolulu is underway. This will ease commuting and traffic issues in the community. Homes for sale in the community come in a variety of styles, sizes, and prices to meet the needs of potential buyers. To find the home of your dreams in beautiful Kapolei, call friendly local real estate agents Stefanie Cruz and Isabella Holmgren today at 803-348-0697 and find a place you can truly call home. View our selection of available properties in the Kapolei area. Check out the latest demographic information available for Kapolei. Learn more about schools near Kapolei complete with ratings and contact information. Browse through the top rated businesses in the most popular categories Kapolei has to offer.